Looking at the shift in media consumption, we see millennials don’t consume newspapers, or their time spent reading newspapers and magazines is irrelevant. 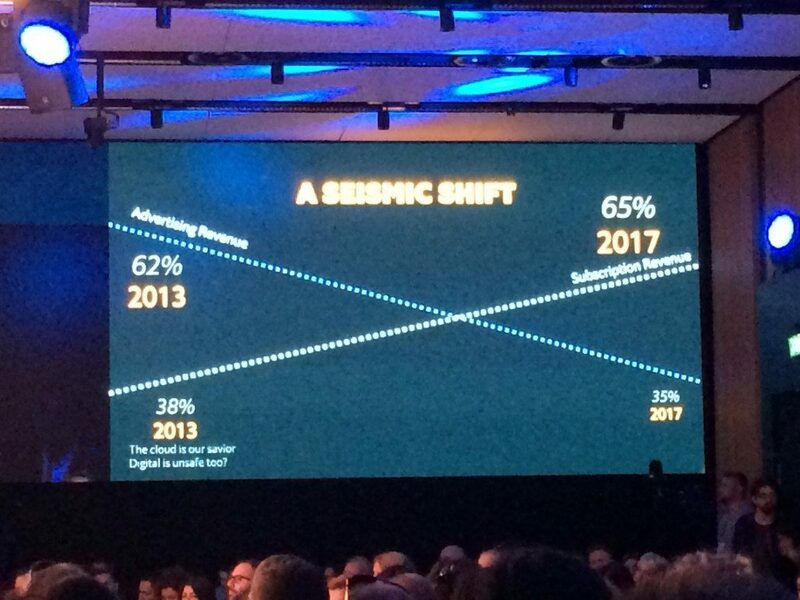 What will happen with print media in the future, if new consumers don’t read it? Is there a future for newspapers? The days when people used daily newspapers to read the news are over. Maybe not for “older” generations, who got used to it, and won’t change their habits easily. 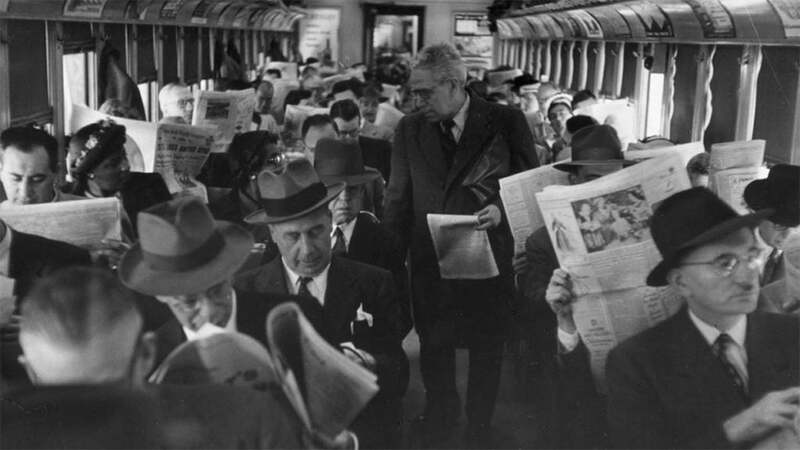 However, younger generations never got used to it; they don’t have a habit of reading a newspaper early in the morning. Moreover, they will never start reading it. They have the internet where they can find all the news they need. 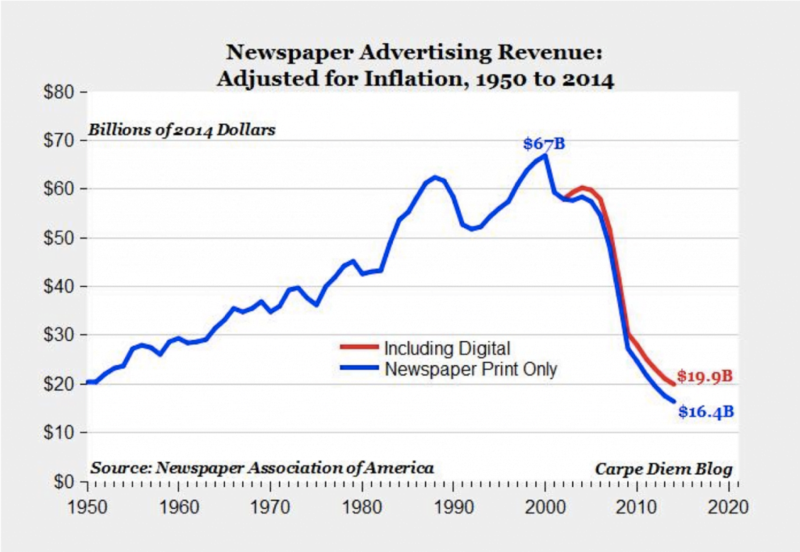 Advertising revenue is becoming a huge problem because it’s been declining since 2000. Daily newspapers with news about something that happened will die. 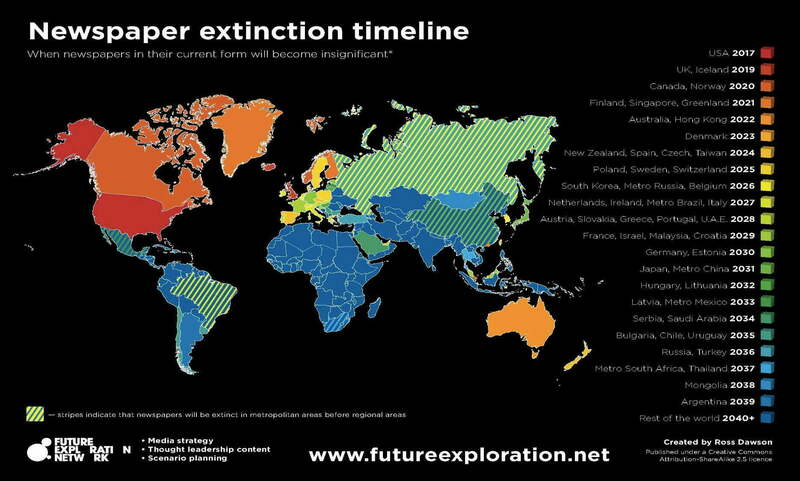 In some countries, they’ve been dead (or soon to be dead) for quite a while. Daily newspapers can’t compete with the speed of the internet. Younger generations never got used to them, so they won’t be buying them for sure. But, newspapers still have something to offer, and I see two scenarios on what publishers need to do to thrive in the future. This + brilliant pricing enabled The Economist to survive and thrive. Newspapers can’t compete with the internet when it comes to news. Their future can’t depend on publishing stories like “Donald Trump won!”. We already knew about that on the internet. What they can deliver is a deep background analysis on why he won, what’s he planning to do next, what it means to all of us… That’s something that adds real value to any conversation. I believe weekly, bi-weekly or monthly newspapers (even in their print form) can thrive if they provide real content and real value to their users. Good reporters won’t lose their jobs; they will become even more important. Reporters who can only write about the facts will become obsolete because there are so many others who can do the same. But, good reporters who write really useful background stories about those events, together with really smart pricing and subscription models of their publishers, will save the print and good content. I believe there is a future for newspapers. But not in its current form. Daily printed newspapers will die, and that’s been happening already. They need to become digital and provide truly quality content in order to attract users. This will have a huge influence on marketing and print advertising. With the change in the newspaper industry, this will have to change as well. 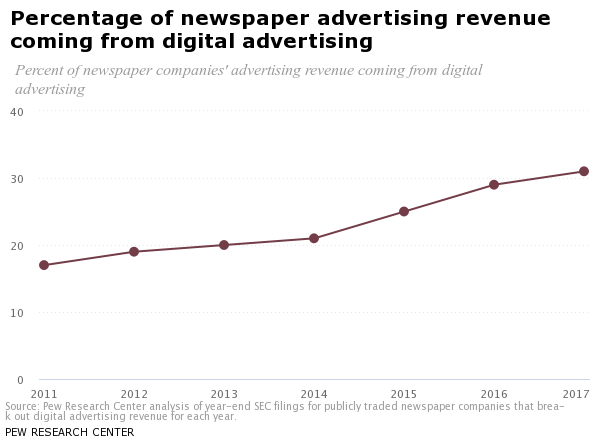 Newspaper advertising will become digital advertising, where media buying agencies and publishers will have to find another model of cooperation.